It's technically called ferrofluid, which is made up of colloidal liquids or "superparamagnetics" that clump together when exposed to strong magnetic fields. The makers behind it, Concept Zero, have been creating ferrofluid art for years, channeling magic through suspension liquids and glass chambers. 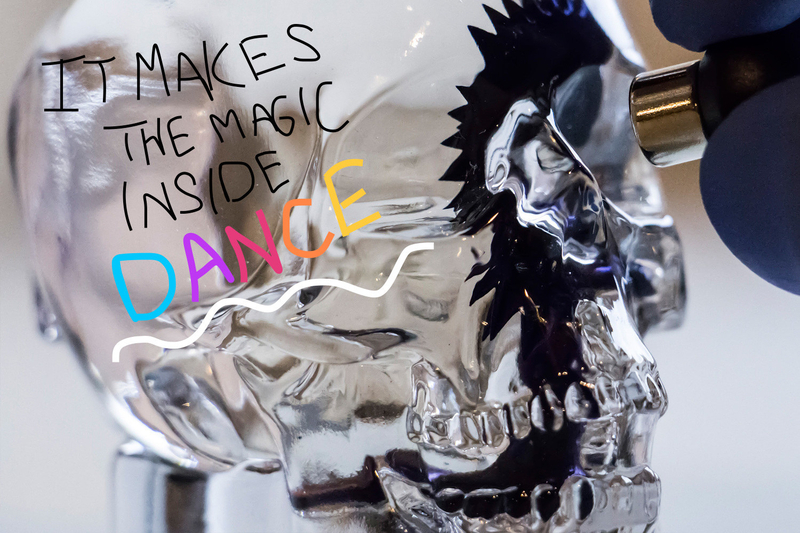 Like the glass skull? 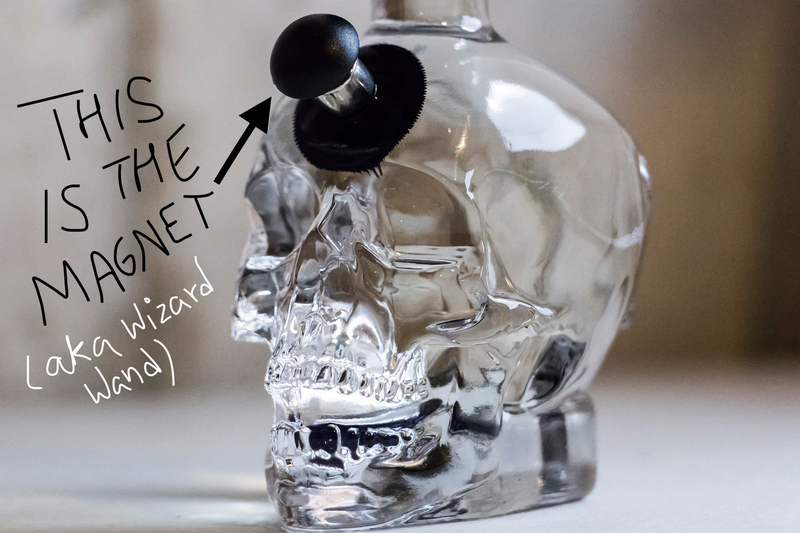 It's actually a Crystal Head Vodka Bottle. But you probably shouldn't drink the liquids inside (tbh, vodka's probably just as bad for your stomach). So you're pretty much just playing with brains. And if you want a human-sized skull, that'll cost you $350, but if you're OK with a miniature skull, then it'll be $60. And the creature comes in other colors like BLUE and METALLIC GOLD. HOW IS IT SO DAMN SATISFYING?!? Put an alien in your pocket (or home). Be friends with this alien. Be the alien.